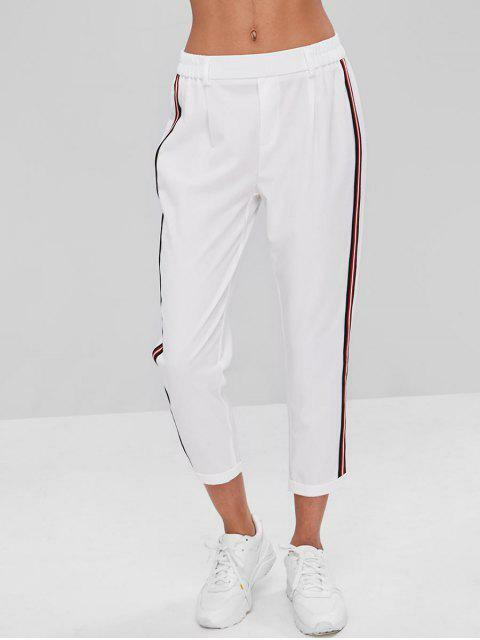 [47% OFF] 2019 Stripes Patched Rolled Hem Pants In WHITE | ZAFUL ..
i am seriously in love with these pants! i normally wear a size 6 and i got a size large in these. they fit very true to size. the only down side is that they are a little long on me, which is expected because i am 5’0. other than that, i am so happy with this purchase! cute and great quality! 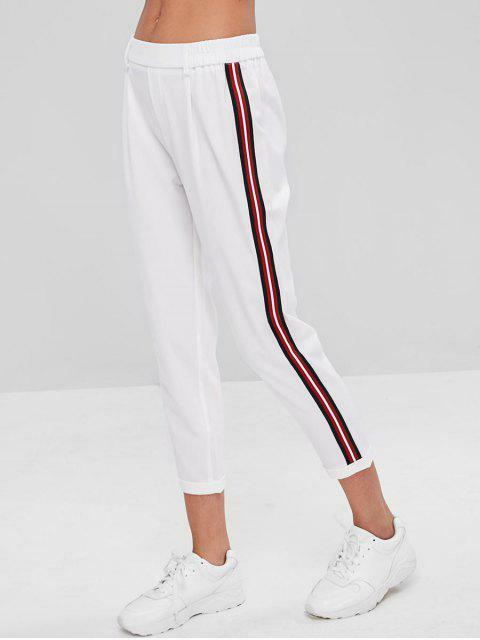 Designed with the subtle sporty sweatpants silhouette, these pants are detailed with a rolled hem for an edgy touch and the adorable sporty striped patch design on both sides. The belt loops that can be used to keep your fave belt tied at the waist end the look. Just pair it with any crop top to complete a casual chic weekend look.